The Court of Appeal disagreed with the trial court, holding that the common law relied upon by the Architects did not preclude their liability to third parties, but instead defined the scope of the Architects’ duty of care. That duty requires the Architects to have exercised reasonable professional care in the performance of their services so as to avoid foreseeable injury to third parties, including the HOA and its members. 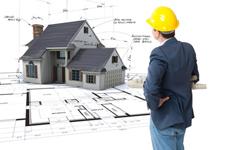 Because a design professional’s “failure to exercise reasonable professional care in the design of residential construction presents readily apparent risks to the health and safety of the ultimate occupants,” a design professional can be held liable to third parties for any damaged caused as a result of that failure. In addition to common law, the Court of Appeal also held that SB 800 provides an independent basis for the liability of a design professional whose negligence causes a violation of a standard for residential housing. SB 800, also known as the “Right to Repair Act,” was enacted in 2002 by the California Legislature “to specify the rights and requirements of a homeowner to bring an action for construction defects, including applicable standards of home construction,” as well as the damages which may be recoverable by a homeowner in such an action. The Court of Appeal emphasized SB 800’s “broad application to those involved in the development of residential housing” and that, by its terms, SB 800 subjects a design professional to liability where the design professional’s negligent act or omission “causes, in whole or in part,” a violation of the standards for residential housing. The Court of Appeal thus ordered the trial court to overrule the demurrers and to allow the issue of the Architects’ liability for negligence to be tried based upon their alleged failure to meet their requisite standard of professional care. This case is significant due to its clarification that design professionals can be held liable for negligence to third party purchasers under both common law and SB800 even if the design professionals did not have “control” in the construction process. Notably, the Court of Appeal recognized how this rule of liability “may negatively impact the cost of housing,” and that it may “limit the willingness of design professionals to undertake large residential construction projects.” However, despite those concerns, the Court of Appeal opined that the rule is required by the public policy factors which are embodied in common law and which underlie the legislative intent behind SB 800.